Florence steak is a thick portion of tender beef that must be cut and prepared in a certain way in order to be called a genuine ‘bistecca fiorentina’, the most famous main course on the Tuscan menu. 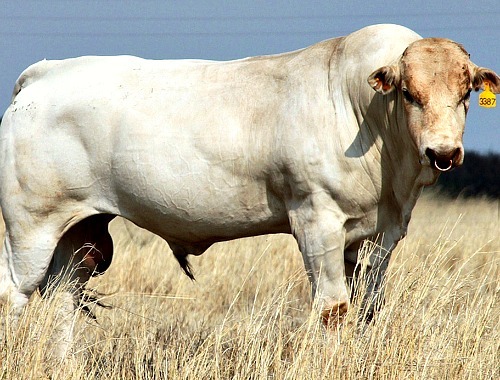 The beef comes from a steer or heifer, types of cattle that are young enough to provide extremely tender meat. A curious fact: although thought of as a typical Florentine dish, the word bistecca has English origins....read below to find out why! So what's so special about a steak? 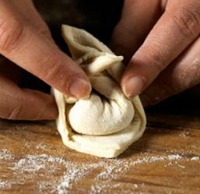 Well, when it comes to food, Italians don't do anything 'so-so'. Although bistecca fiorentina is a classic dish in Florence cuisine, few people know that its name can be traced back to the British. Going back to the 15th century, the Medici family used to hold a great party on San Lorenzo day, August 10th. A barn fire would be lit and meat would be cooked and offered to the townspeople. 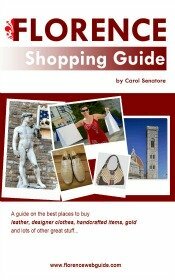 At the time there was a large English population in Florence (much like today! 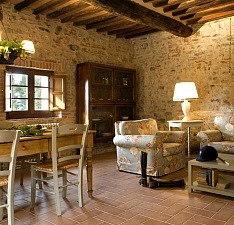 ), both aristocracy who came to Italy for the mild climate and merchants in Tuscany to sell their wares. During the feast the English were heard referring to this dish in their own language as 'beef steak'. The locals heard the word and 'stole' it to use as a specific name for that type of meat, and thus, from 'beef steak' we get 'bistecca'. 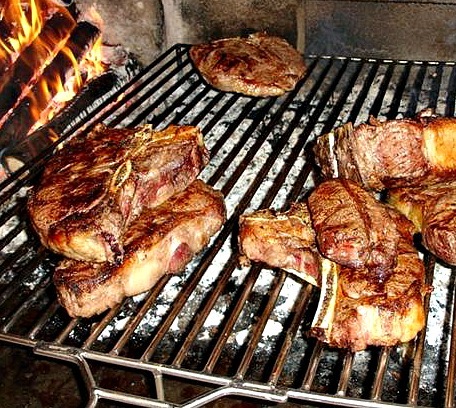 In the English speaking world, a similar version of Florence steak is the T-Bone or Porterhouse, which are taken from the same part of the animal, the short loin that has very tender meat. 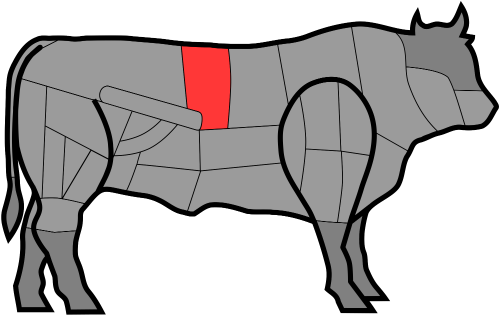 However, bistecca fiorentina has many differences that make it unique. In order to be an authentic Florence steak the meat must come from a Chianina cow, a breed of cattle raised in Tuscany in the Maremma area. These are magnificent-looking mammoth sized animals that are all white. Chianinas used to also be work animals, but nowadays are bred exclusively for their high-grade meat on (mostly) organic farms in Tuscany. 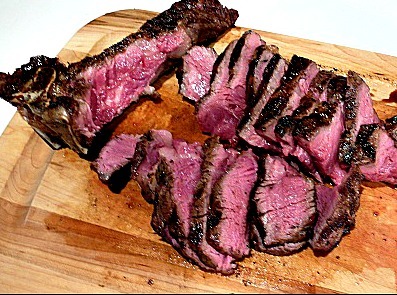 A Florence steak weighs over a kilo and sometimes up to 2 kilos and is between 2 and 3 inches thick. In fact, we say in Italian that a cut of steak is '3 fingers thick' or sometimes even 4 fingers thick! Bistecca fiorentina must be grilled on a wood or coal fire and then is simply seasoned with salt and pepper. 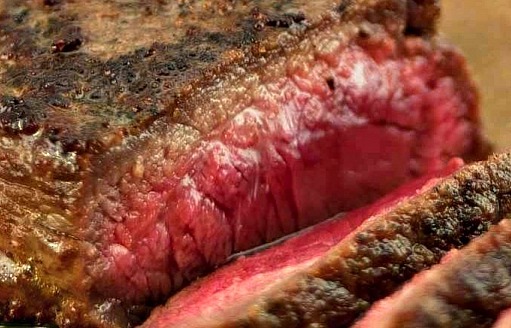 Some people also add plenty of fine olive oil as a condiment, but a good steak shouldn't need 'extra juices'. Because the piece of meat is very thick and large it is normally served to two or more people. Your waiter will not ask you how you want your meat cooked because there is only one way to cook this cut of beef and that is rare (and I don’t mean just a little pink, we're talking bloody!). If you don’t eat rare meat, it’s best not to order this dish as cooking too much will make the meat tough. However, I recommend just going for it and trying it rare. What usually happens is that people are very surprised to find that they actually really enjoy it! So remember, the meat is cooked rare and only rare, no other way is acceptable. At least two hours before being grilled, the meat is taken out of the fridge so that it’s at room temperature when cooked. This is because the meat is only cooked for about 3-4 minutes on each side and if it were not at room temperature, the inside might remain cold when eaten. First, the meat is seared close to the heat to seal the juices. After, it is cooked for about 4 minutes on each side. Another trick is that it mustn’t be punctured with a cooking fork which would cause a loss of meat juices, but flipped with tongs. When ready, the steak should appear dark and crusty on the outside and red and juicy on the inside. 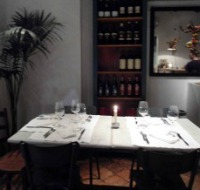 Of course, you must enjoy your Florence steak with a nice glass of fine red wine. Steaks are often served with white beans as a side dish but also potatoes or vegetables are commonly used as 'contorni'. Your server arrives with the meat on a wood cutting board placed on a rolling trolley. They season the steak at your table, then cut the meat into slices and also divide the best part – the fillet - so that it can also be shared and not grabbed by only one lucky stiff! The cutting board is then placed on the table so that each person can choose the pieces and the amount they prefer. The bone is one of the tastiest parts and – although a bit messy and un-elegant to eat – is considered a real treat! 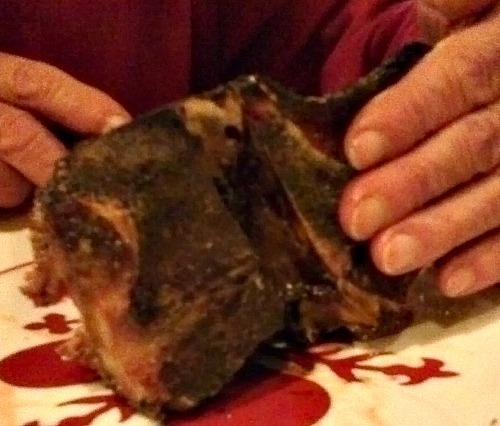 The Florentine T-bone is one of the highest quality meats and can be a bit pricey. The meat on one side of the bone is the fillet and therefore is extremely tender while the other side of the bone is the strip steak, less tender but still top quality beef. Visitors are always confused when they see the price of steak on a menu. 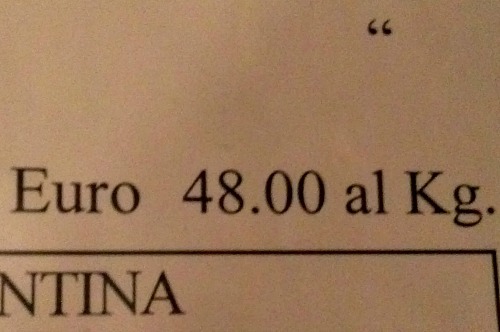 What, only €4 for a steak?? But prices are listed either by etto (an Italian measurement corresponding to about 3.5 ounces) or by kilo, not per steak. So whether it's €4 per etto, or €40 per kilo, your piece of meat is weighed and the price for your steak is calculated on how heavy it is. As a general indication, you can expect to spend between 40 – 60 euros for a generous cut of meat to be shared by 2 or three people. 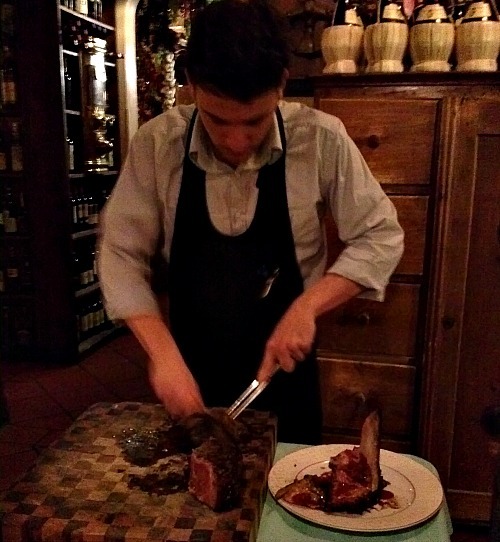 Basically, any good Florence trattoria is a perfect place to go to enjoy a delicious bistecca fiorentina. It may be a no-brainer, but it's worth repeating that a good indication of whether a restaurant has authentic local food is whether or not the place has a fair share of Italians dining there. All places downtown have foreigners, this does not mean that the food is not genuine, all you need to do is also see if there are locals! If so, then go! 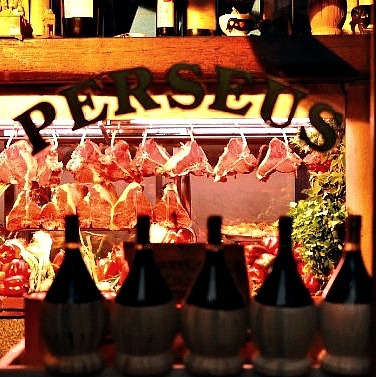 However, for those wanting a specific indication about a good place for Florence steak, I recommend Perseus. 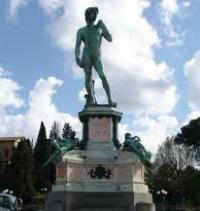 Perseus, in viale Don Minzoni, no. 10 (near Piazza Libertà) has an excellent reputation for its meat and is just enough off the standard tourist route to have a characteristic mix of regular local customers as well as foreigners. One warning: the service here is very simple and to-the-point, they don't fawn over customers so don't take it personally, it's like that for everyone who goes there!